These were our questions………we don’t necessarily have all the answers to them, but we do know it does all fall into place. As parents of deaf young people, we know what support is needed, where to get it from and that you need not on your own. As parents we are extremely proud of what our deaf young people are achieving at school, college, work, sport, clubs and university. Many of our local deaf children are often the only deaf child in their school and this can feel lonely. 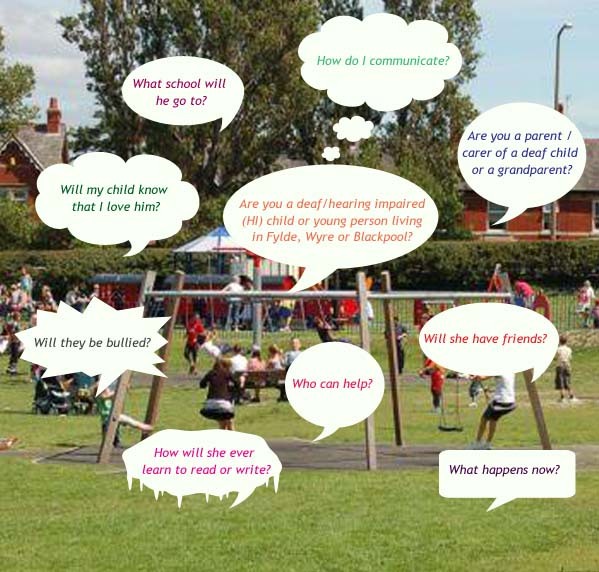 We found when we discovered our children were deaf we wanted to meet other parents. So rather than sitting worrying at home, come and meet us. You will meet other children who communicate through speech, BSL and some who use both spoken English and BSL. Communication is rarely an issue but we do our best to have communication support if needed. Bring your family, you are all welcome.